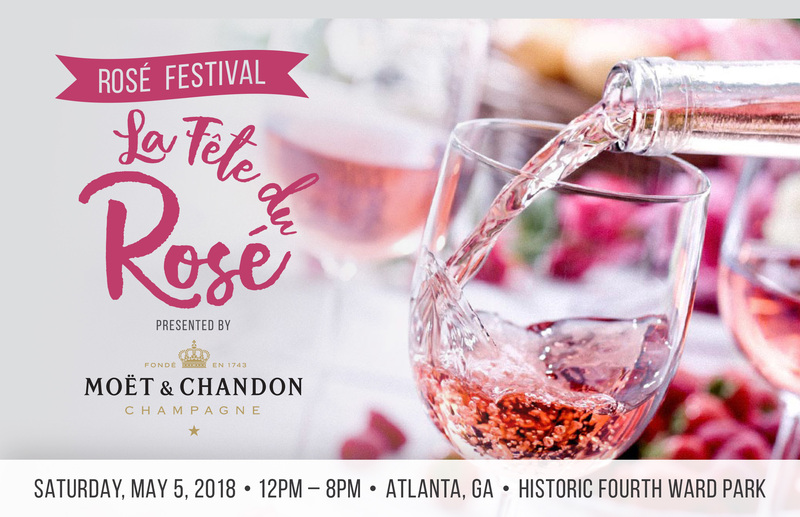 Atlanta is getting its first rosé picnic at the inaugural La Fête du Rosé, sponsored by Moët & Chandon Champagne. The event will take place on Saturday, May 5, 2018, from 12-8 p.m. in Atlanta’s Historic Fourth Ward Park with a revamped ticket structure. La Fête du Rosé’s headline performer is DJ CASSIDY, but the event will also feature a wide assortment of popular Atlanta-based DJs specializing in different genres including DJ Stormy, well-known for her fusion of Hip Hop and EDM, and DJ Baby Drew from Power 96.1 and the Atlanta nightlife scene best known for his signature Hip Hop, Pop and R&B rhythms. Chef and Grammy Award-winning artist Kelis Rogers has partnered with Atlanta-based catering company Gotta Have It Catering to execute her uniquely curated picnic baskets, which will be available for purchase online prior to the event. La Fête du Rosé picnic baskets, which were crafted to pair perfectly with the event’s signature drink, will include a charcuterie option and a variety of gourmet sandwiches, accompaniment, dessert, and more, at prices ranging from $16 to $30.